At Macy’s, Inc., we believe that contributing to a more sustainable environment is not only a good business practice, but it’s the right thing to do. As the nation’s leading omnichannel retailer with a significant workforce, we have the opportunity to make a meaningful difference in improving the environment, and that is what we are doing. Our organization believes in taking a comprehensive approach to sustainability and renewability with customers, associates and vendor partners. This belief in corporate citizenship is something Macy’s puts into action every day, evidenced by a commitment to eliminating wasteful behaviors, from simple principles such as turning off the lights or printing fewer hard copies to systematic improvements, such as shifting marketing to electronic media so we print and send fewer printed advertisements. This commitment is echoed through our simple yet resolute sustainability theme, “Green Living.” For us, Green Living isn’t just about reducing Macy’s impact on the environment, it's about living responsibly, both environmentally and socially — an all-encompassing commitment that we take very seriously. 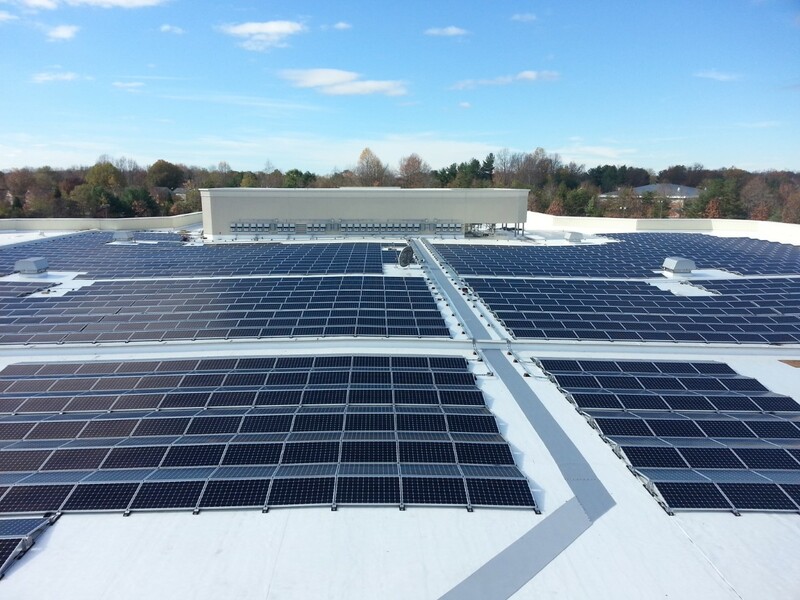 In celebration of Earth Week 2016, Macy’s reinforced its sustainability commitment by hosting a bi-coastal celebration at two of its stores — in Sacramento, CA, and Bowie, MD, — on which we have installed SunPower® solar power systems. Including solar technology that was not installed by SunPower, 78 Macy’s, Inc., facilities had solar arrays installed as of the end of 2015. Macy’s has been working with SunPower to install commercial solar power systems for a decade, and today, of those 78 arrays, 71 of them are SunPower systems, installed or planned for rooftops at Macy’s and Bloomingdale’s facilities in 10 states, representing a total 38.9 megawatts that produces electricity which is ultimately sold to others. At the Sacramento and Bowie stores last week, representatives from SunPower and Macy’s joined store associates and city officials in honoring Macy’s commitment to solar and sustainability. Attendees visited the rooftop solar arrays at each site to get a closer look at the technology. “We never run short of milestones and accomplishments to celebrate at Macy’s, and I am particularly proud of this achievement. Having a solar power system on top of our store is truly a point of pride for our team, but it also sends an important message to our customers about how strong our commitment to sustainability is at Macy’s,” said Casey Brandon Buie, Vice President and Store Manager, Macy’s Bowie. According to the 2015 Solar Energy Industries Association (SEIA), Macy’s is one of the top 10 U.S. companies championing solar development, and we are proud of the environmental impact that this commitment is making. We encourage other organizations and individuals to join us in making our local communities, our nation and the world a more sustainable place to live and work. This blog was guest authored by Brittany Bow, Associate Manager, Corporate Communications, Macy's, Inc.
To learn more about Macy’s commitment to sustainability, please visit macysgreenliving.com. Lean more about how SunPower helps companies better manage their energy.